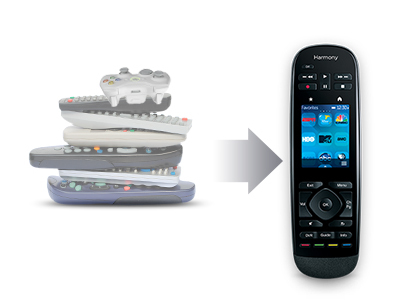 Why have 5 remotes when you can have one - easy! "Great product once you have it programmed." "The Ultimate One is well built in a solid package and feels good in the hand. 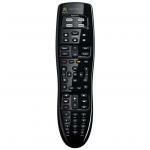 It is easy to program to control many devices and functions - just as it claims. 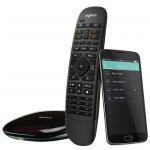 Only downside is that the play/pause/stop..."
"Great universal remote. Makes life so much easier, only 1 control instead of 5. Highly Recommend." 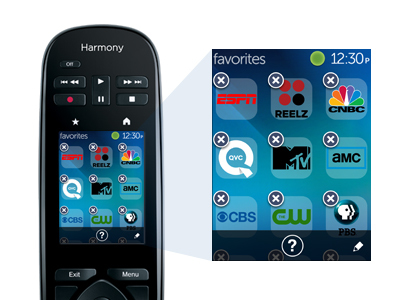 Personalize the 2.4inch color touchscreen with frequently-used commands, Activities, and up to 50 channel Favorites. 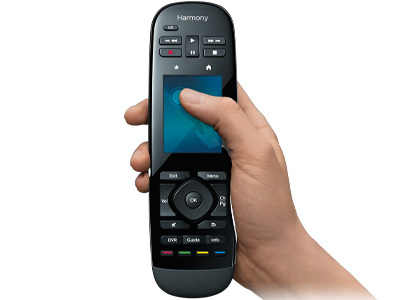 Harmony Ultimate One controls up to 15 IR devices and is compatible with over 270,000 models from more than 6,000 brands. 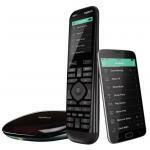 Does it come with the wireless hub allowing you to control devices via wifi or is it IR only? 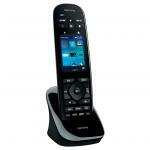 Great product once you have it programmed.Great product once you have it programmed. 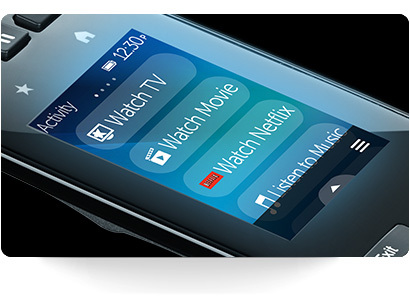 The Ultimate One is well built in a solid package and feels good in the hand. 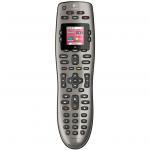 It is easy to program to control many devices and functions - just as it claims. Only downside is that the play/pause/stop/ff/rw buttons are located at the top of the device and don't fall naturally to hand.The Ultimate One is well built in a solid package and feels good in the hand. It is easy to program to control many devices and functions - just as it claims. Only downside is that the play/pause/stop/ff/rw buttons are located at the top of the device and don't fall naturally to hand. Bought this for a present for partner. He loves this. So good to be rid of all those remotes to just one.Bought this for a present for partner. He loves this. 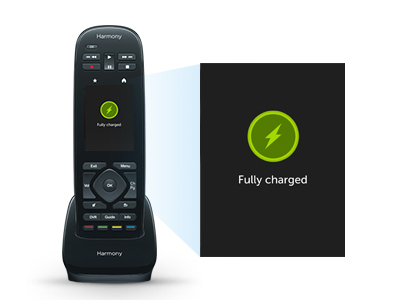 So good to be rid of all those remotes to just one. 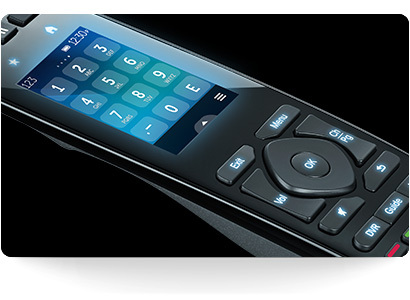 Great universal remote. Makes life so much easier, only 1 control instead of 5. 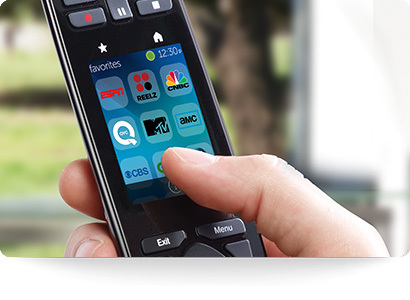 Highly Recommend.Great universal remote. Makes life so much easier, only 1 control instead of 5. Highly Recommend. 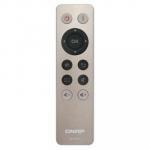 Great cost effective option for consolidating multiple devices for ease of control. Most importantly, setup is very simple. 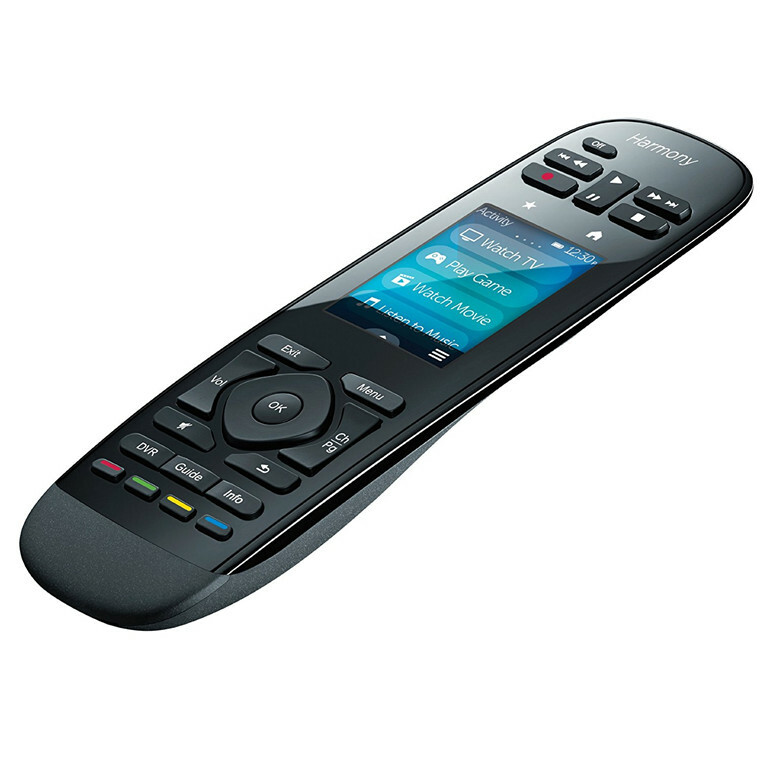 Highly recommended.Fantastic universal remote ! 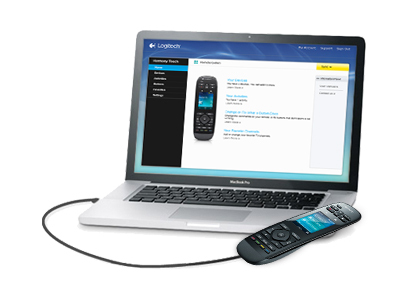 Great cost effective option for consolidating multiple devices for ease of control. Most importantly, setup is very simple. Highly recommended. PB Tech price: PB Tech price: $317.39 ex. $365.00 inc.